We recognize that early learning experiences are important and that children learn best through play. Our Preschool Program provides an opportunity for children to explore their growing independence and engage with peers and caring adults. We offer an inclusive learning environment for children of all backgrounds and developmental levels. Our welcoming community supports every child’s learning and growth. ​Our safe, supportive environment invites children to explore and discover both indoors and outside through play experiences with art, pretending, construction, sensory materials and literacy. Our focus is on supporting the development of positive social interactions. Through recognizing and valuing differences, expressing feelings, and recognizing and responding to the feelings of others, our goal is to create a caring learning community. 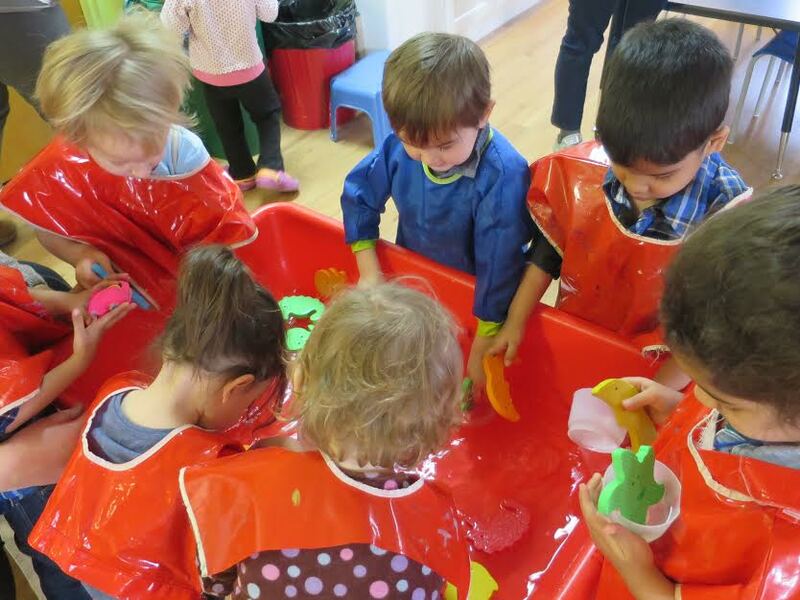 Our Preschool day follows a predictable routine including free play and exploration, a free-flowing snack, group time for sharing stories, interesting topics and songs, and outdoor play. With a wide variety of choices, children are encouraged to explore and expand their interests both in the classroom and the outdoor play area. Choices include a home centre, large and small blocks, sand, water, playdough, puzzles, books, painting, writing/drawing, cutting and gluing, and investigating science and math concepts as well as the natural world. Materials are added and changed as we follow the children’s interests. Our special events, classroom visitors, and field trips offer an opportunity to connect with the wider world. As a cooperative program our low adult to child ratios (1:4) exceed Ministry of Education requirements and allow us to be responsive to your child’s individual needs. ​We have purposely created the Preschool morning program with a two or four-day option to allow flexibility to best serve our members' needs. Combined with Countdown to Kindergarten, it can become a first step in preparation for Full Day Kindergarten. The Preschool Program for 2018-2019 is available in 3 Levels of Participation. Please read more about participation here.